There was something absolutely wonderful about the failure of Wildrose to win the recent election in Alberta. The party is made up of a gaggle of mostly former conservatives – so extreme in their views that their party earned the nickname “Tea Party North,” and was touted by almost every polling agency to be headed for a convincing majority in the April 23 provincial election. But in the end, the pollsters were completely wrong, Wildrose winning only 17 seats and 34 per cent of the vote (CBC News 2012a). Wildrose lost in spite of getting substantial elite backing. Many of the usual suspects of Canadian conservatism broke from their traditional support for the Alberta Tories, and backed Wildrose. The editors of the National Post led the way, saying “Alberta’s government could use some fresh blood and vibrant new ideas” (National Post Editorial Board 2012). The Edmonton Sun editors said that “the Wildrose party has the vision and energy to set Alberta on a course to a bold and exciting future” (Edmonton Sun 2012). That exciting future might have been a little pale in colour. Ron Leech, Wildrose candidate in Calgary-Greenway, said on April 16: “I think as a Caucasian I have an advantage …. As a Caucasian, I believe that I can speak to all the community” (Gerson 2012). A Wildrose future might also have proven to be a little warm. Leech’s party comrade, Allan Hunsperger, running in Edmonton-South-West, wrote on his church’s blog in June 2011 that the fate of those who did not live as heterosexuals would be to “suffer the rest of eternity in the lake of fire, hell, a place of eternal suffering” (Wood 2012a). Now the good folks on the editorial board of the National Post were aware of these backward and reactionary views when they deliberated, but they nonetheless decided that Wildrose politicians would be the best stewards of Alberta’s future. Any new party running a full slate of candidates, they argued, “will inevitably be stuck with a few loose cannons” (National Post Editorial Board 2012). Perhaps, but cannons can be fired, and party leader Danielle Smith, when confronted with these two particularly obscene cannons, chose not to pull the trigger. She said, for instance, that Hunsberger was “free to hold his personal views” (Wood 2012a). April 23, Smith found out that if she wouldn’t deal with Leech and Hunsberger, the people of Alberta would. Both went down to defeat. Revulsion over their views, and the way in which party leader Smith was willing to tolerate open bigots in her party, led to a surge in voter participation, rising sharply to 57 per cent from the all-time low of 2008, when only 41 per cent of eligible voters cast a ballot (Postmedia News 2012). The unexpected trek to the polls of thousands of people, enraged at Wildrose bigotry, meant that, far from winning the majority most predicted, Wildrose will have to be content with the status of official opposition. The provincial conservatives kept a 41-year unbeaten streak going, winning 61 seats with 44 per cent of the vote (CBC News 2012a). To understand developments in Alberta politics, it is necessary to quite closely study this surge in voter turnout relative to the election of 2008, in context with two other key dynamics. First, there was a substantial increase in support for Wildrose, its vote going from 64,407 votes to 444,996, an increase of 381,000. Second, there was a dramatic decrease in support for the Liberals – from 251,158 in 2008 to 125,000 in this election, a decrease of almost 126,000. Third, there was the surge in turnout, rising from 950,363 to 1,290,218, an increase of almost 340,000. The first chart here (CBC News 2012a; Postmedia News 2012; Chief Electoral Officer 2008, 142) captures these dynamics visually. Without question, the bulk of the Wildrose vote came from disgruntled ex-Tories, who felt that Alison Redford (leader of the Alberta Conservative Party) was abandoning core conservative policies. The flight from the Tories to the Tea Party North was in fact, massive. We of course don’t know precisely who changed votes from one party to another. But we can reasonably identify the main trends. A big part of the rise in Wildrose support came from disgruntled ex-Tories. If you peg that figure at 70 per cent, it drops the tory vote to 235,000. There was a smaller, but important current, of Liberals shifting to the Tories, because of fear of Wildrose, and because of the new “liberalism” represented by Redford. Certainly the majority of these switched to the newly-minted Redford Tories. Using the same approximation of 70 per cent, raises the Tory vote to 323,000, better, but still far behind Wildrose. Focusing on just these two dynamics is what led the polling community to almost universally call for a Wildrose majority. Enter the new voters. In 2008 just over 950,000 cast a vote. This time, turnout surged to 1,290,218. The next chart (CBC News 2012a; Postmedia News 2012; Chief Electoral Officer 2008, 142) illustrates the way in which this and the other two key dynamics have led to a recomposition of the Tory vote in Alberta. The only way for the Tories to have achieved their final total of 567,051, was for them to have received the support of 70 per cent of these new voters. This surge of new support for the Tories was in the main a surge of revulsion against Wildrose. It kept the barbarians at the gate, and confounded the pundits. Again, these figures need to be qualified. We of course don’t know why each of the thousands of new voters headed to the polls, nor who they voted for. All of the figures above are at best, educated guesses. But – the dynamics they represent “feel” accurate, for those who were in Alberta for the election. The hatred for the newly-liberal Tories that came from the conservative media was everywhere. The even more intense visceral hatred for Wildrose bigotry was palpable in coffee shops, on campuses, and on facebook. There was real fear that the conservative push for Danielle Smith would lead to a Wildrose majority, and intense worry about what a noxious “Tea Party North” government would do to Alberta. This translated into a passionate push, particularly by young people, to get to the polls and vote against Wildrose. Redford knew this. She knew that her only road back into office was to be a Tory who didn’t look like a Tory. In a way that would seem very confusing to those outside Alberta, the Alison Redford led Tories were at pains throughout the campaign to present themselves as a liberal alternative to Wildrose, at one point in the campaign taking out a full-colour, full-page newspaper ad, saying “this is not your father’s” conservative party (Wood 2012b). In fact the Redford Tories do represent, at one level, a quite different set of politics from the Alberta Tories led by Ralph Klein in the 1990s. Klein was a western twin of Ontario’s Mike Harris, gleefully embracing attacks on social programs as a badge of honour. Redford, the surprise winner of the Tory leadership race in September 2011, came out on top by advancing policies far different from those of Klein or Harris. In fact in a very real sense, she won by running against the Conservative record. She “dismissed the ‘arrogance’ of her own cabinet, slammed a controversial land law and pushed for a judicial inquiry into her government’s handling of the health-care file.” In the words of one reporter, “some of Ms. Redford’s policies are indeed liberal-esque: implementing comprehensive (and expensive) ‘family care centres’ as a pillar of what is already Canada’s costliest health system, proposing higher government payments to the disabled and supporting pay hikes for employees of non-profit agencies” (Wingrove 2011). This is the political profile of her victorious leadership campaign – a political profile that is very different from a Klein or a Harris. Redford’s victory – in part based on running against the Conservative record, led many liberals and even some NDPers to look to her as a “centrist” political option. Prior to Redford’s accession to leadership, the Alberta Tories under Ed Stelmach had become deeply unpopular. In choosing Redford, the Tories had chosen to address their electoral difficulties, by moving away from some of their more right-wing policies. The pollsters confidence in a Wildrose victory was based on the assumption that this would backfire, lead to a conservative backlash and the growth of Wildrose, because politics in Alberta always moves to the right. There was a move right, from the Tories to Wildrose. However, there was also a bigger and more important backlash against Wildrose. The key factor in this election was not the conservative backlash against Redford’s “liberalism,” but an anti-Wildrose backlash as their reactionary politics became exposed. The National Post editors will have to ponder the fact that their preferred party lost because it was perceived as being too right-wing – in Alberta. One other key issue also galvanized opposition to Smith – her stance on climate change. She angered many in the province when she argued, one week before the election, that the question of climate change was not yet settled (The Canadian Press 2012). This is an enormous issue in Alberta, centre of the environmentally catastrophic Athabasca tar sands. Smith herself acknowledged the role of climate change in her defeat, saying after the election that she and her party would have to reconsider some of their policies. “The fact of the matter is there are certain policies that clearly Albertans didn’t want to see implemented,” including on her list her questioning of climate change (CBC News 2012b). But the fact that Redford is no Klein and that the climate-change skeptic Smith lost, leaves little room for complacency. Climate justice is likely to be just as much at risk from Redford as it would have been from Smith. The editors of the Globe and Mail, Canada’s national newspaper of conservatism, backed the Tories not Wildrose. They saw Redford as a more positive voice for Alberta’s oil industry, arguing that “her Canadian Energy Strategy would facilitate the shipment of oil-sands oil to Asia, the U.S. and Central Canada; she also promises to help fund oil-sands extraction technology” (The Globe and Mail 2012). The Globe and Mail editors were reflecting the point of view of big sections of Corporate Alberta. Those who travelled in the rarefied air of that section of Alberta, were very comfortable with a victory by either Wildrose or the Tories. Both parties received corporate donations running to the hundreds of thousands of dollars, in the case of Wildrose almost reaching one million dollars. Most significantly, 25 corporations hedged their bets, giving cash to both parties, most prominently, companies in the petrochemical and energy industries. For Cenovus, Enbridge, Encana, Marathon Oil, North West Upgrading, NOVA Chemicals, Penn West Petroleum, Suncor Energy, Transalta and TransCanada Pipelines – there was a certain indifference. Smith or Redford would do. Either of them would be a good bet to allow the expansion of tar sands production into the foreseeable future. The table here (Wildrose 2012; PC Alberta 2012) lists all the corporations who made donations to both parties, beginning with those involved in petrochemical and energy. This is an astonishing table. Individual voters take our vote very seriously. We care which party is elected – which is why, of course, there are election campaigns in the first place. Very few people walk about the streets sporting buttons for two parties. People pick one, and cast their ballot. But corporate Alberta had a sweet situation. A victory by either the Tories or Wildrose would be fine. Under either party, it would be business as usual. It is no exaggeration, then, to say that both parties are parties of big oil. For big oil, the key is continuing the rush to pull oil out of the mud of Northern Alberta, regardless of the environmental consequences. We dodged the bullet on a government of social conservative dinosaurs. But we entrenched in power another majority government enthusiastically committed to Alberta’s boiling mud economy, absolutely focused on a systematic increase in the exploitation of the tar sands. And – even though Wildrose lost, it did in fact come very close. For just under half a million voters to put an “X” beside Tea Party North, means that there is a very large base for extremist politics in the province. In addition, the fact that the Tories have become custodians of “liberalism” for now is disquieting. The Tories know very well how to be conservative. We can be absolutely sure that they will be loyal soldiers for Corporate Alberta. Very little in their background has prepared them to be loyal soldiers of progressive politics. Redford has a comfortable majority, and can now rule without fear of a defeat in the legislature for a full four-year term. We’ll have another election sometime between March 1, 2016 and May 31, 2016 (Alberta 2006, 36). That doesn’t mean there will be an absence of politics for four more years. The most important political work always happens between elections, in the nitty-gritty work of organizing social movements from the grass roots up. February 16, hospital workers in Edmonton showed us what that kind of politics might look like, walking out on an unauthorized wildcat strike, angered at a terrible contract offer from their employer, Alberta Health Services (Kellogg 2012). Alberta, Government of. 2006. Election Act. CBC News. 2012a. “Albertans Elect Tory Majority Government – Alberta Votes 2012.” CBC News Canada, April 24. ———. 2012b. “Wildrose May Reconsider Some Policies, Smith Says – Edmonton.” CBC News Edmonton, April 24. Chief Electoral Officer. 2008. The Report on the March 3, 2008 Provincial General Election of the Twenty-seventh Legislative Assembly. Edmonton: Elections Alberta. Edmonton Sun. 2012. “Editorial: Time for a Change.” Edmonton Sun, April 22. Gerson, Jen. 2012. “‘Caucasian Advantage’ Quip Casts Shadow over Wildrose Campaign Despite Poll Lead.” National Post, April 18. Kellogg, Paul. 2012. “Angry Hospital Workers Wildcat in Edmonton.” PolEcon.net, March 7. National Post Editorial Board. 2012. “National Post Editorial Board Endorses Danielle Smith and the Wildrose in the Alberta Election.” National Post, April 19. PC Alberta. 2012. “Progressive Conservative Party Releases Campaign Donors.” Votepc.ca, April 22. Postmedia News. 2012. “Alberta Election 2012: Alberta Voter Turnout Highest Since 1993.” The Vancouver Sun, April 25. The Canadian Press. 2012. “Wildrose Leader Says Climate Science ‘Not Settled’.” CBC My Region – Alberta Votes, April 16. The Globe and Mail. 2012. 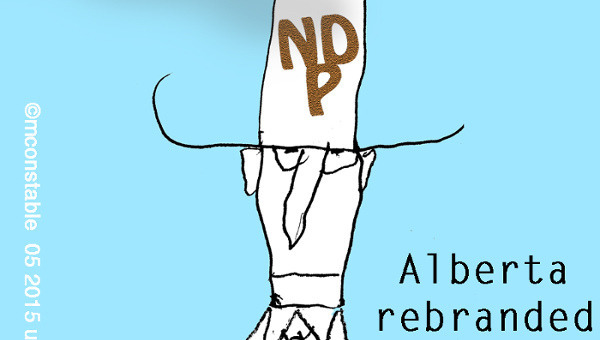 “Editorial – Alberta’s Conservatives Offer More Change Than Wildrose.” The Globe and Mail, April 19. Wildrose. 2012. “Redford PCs End Campaign Like They Began – With A Broken Promise.” Wildrose.ca, April 22. Wingrove, Josh. 2011. “Will Tories Roll Out Red Carpet for Redford?” The Globe and Mail, September 11, sec. A. Wood, James. 2012a. “Wildrose Candidate Tells Gays in Lady Gaga-inspired Blog Post: ’You Will Suffer the Rest of Eternity in the Lake of Fire, Hell“.” National Post, April 16. ———. 2012b. “Alberta Election: ‘Family Feud’ Between Wildrose, PCs Heats Up.” Postmedia News, April 21. Paul Kellogg is an Associate Professor at Athabasca University. His latest book is Escape from the Staple Trap: Canadian Political Economy after Left Nationalism .